Batch 2 of this special Single Pot Still Irish Whiskey has been matured in a combination of ex-oloroso Sherry and ex-Bourbon barrels before being transferred to chestnut casks sourced from the Isére region in France. 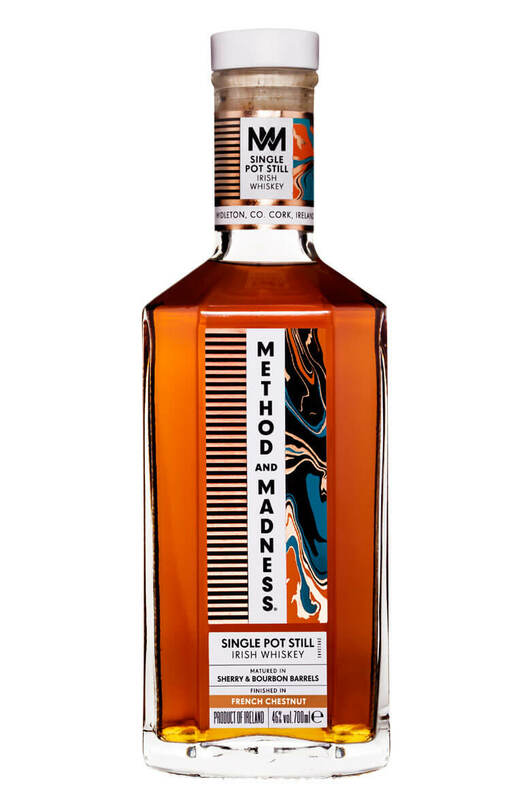 Method and Madness reinforces Irish Distillers’ “continued commitment” to experimentation and innovation at the Midleton Distillery. This is the first official release of a single grain whiskey from Irish Distillers. Method and Madne.. Single Malt Irish Whiskey Enhanced With French Limousin Oak, has been initially matured in ex-Bourbo.. The first Irish whiskey to have been finished in Hungarian oak. The wood for these unique barrels wa.. The first gin to be introduced within the hugely popular Method & Madness range which has been c..